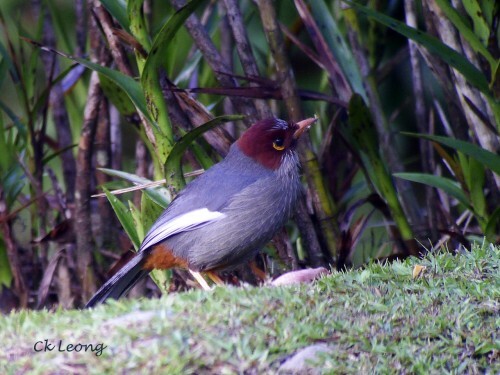 Here’s another very noticeable bird of the Bornean mountains, the Chestnut-hooded Laughingthrush Rhinocichla treacheri. It forages in small groups, mainly in the lower to mid level canopy. It also joins up with Sunda Laughingthrush or other mixed feeding flocks. A Bornean endemic.